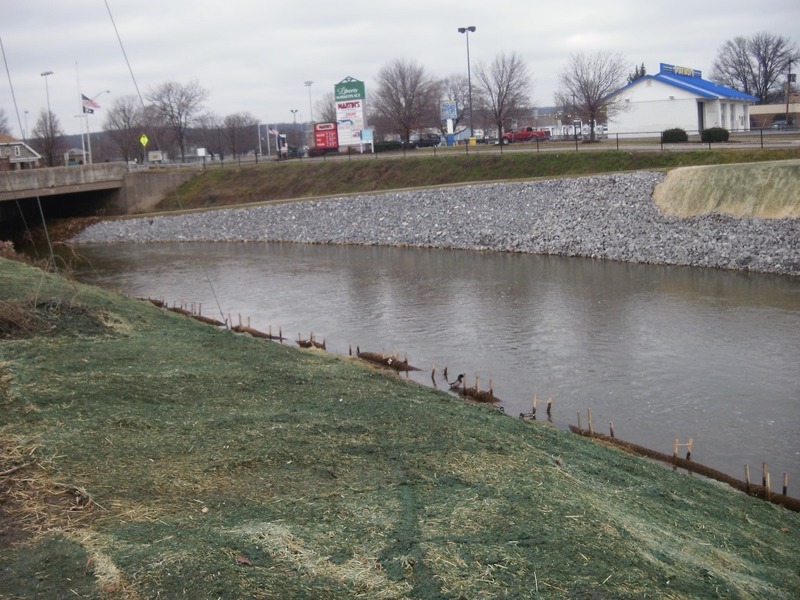 For several years now, AMCTU has championed habitat improvements in the Sandy Lick Creek flood control in downtown DuBois. It took a long time to get the US Army Corps of Engineers (who has jurisdiction over the flood control) to agree, but thanks to the efforts of the City of DuBois, Jason Reed of Stahl Sheaffer, and Mark Killar of the Western Pennsylvania Conservancy, the project is beginning to move forward. The City of DuBois recently completed a bank stabilization and added a J-hook structure just upstream of the Brady Street (US Route 219) Bridge. This is just the first step of the project. Stay tuned for more updates and ways you can be involved in this work. 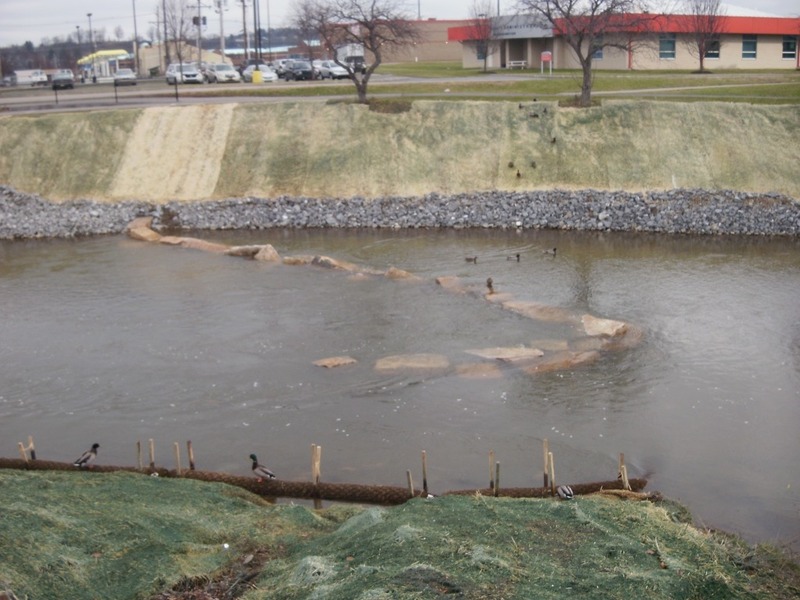 This is a great and rare example of using habitat structures in a flood control that helps to both improve the fishing and maintain the flood control function. 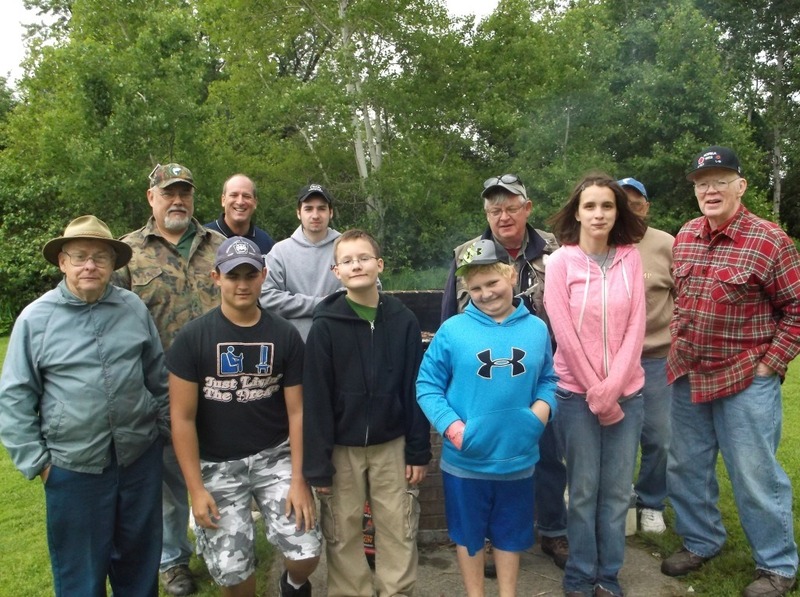 AMCTU hosted our annual Big Brother Big Sister Fly Fishing Outing on June 14. 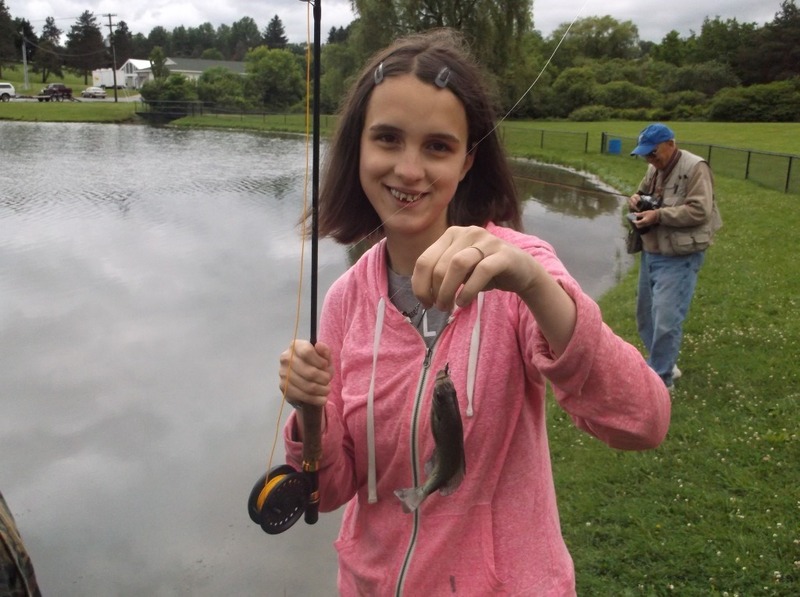 Catching fish, no mater how small, always puts a smile on a face! Please make plans to join us for next year’s event and help mentor these great kids. 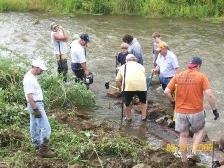 On August 1, 2009, the chapter, Fish Commission, and other volunteers installed 3 double log vane structures in the Sandy Lick Creek by the DuBois Mall, upstream of where the flood control begins. 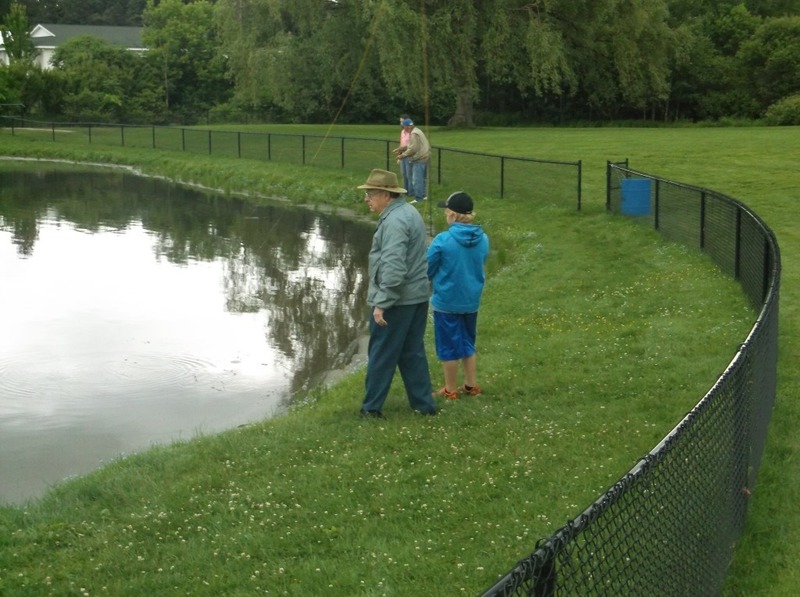 Even with all the water (it rained all week) we were able to get into the creek and place these devices on the mall side of the creek. The bottom there is very rocky from when the flood control was built so we’re not sure how much cutting will occur, but it will help the creek some to be sure. We still need to install three on the other side and are planning to do this summer 2010. We had over 20 people come out and help. Ken Undercoffer has completed the Lick Run Assessment and Conservation Plan conducted under the Coldwater Heritage Partnership grant AMCTU received in 2004.